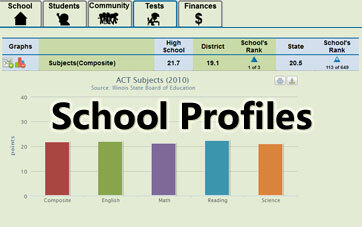 School Analyst is committed to making information concerning our nation's schools more accessible. We have digitized 36,000 school attendance boundaries throughout the nation to provide products and services that empower parents, school districts, education organizations, and communities to gain a better understanding of their schools in a quick and visually appealing manner. If a student lives at a certain address, which schools can she attend? 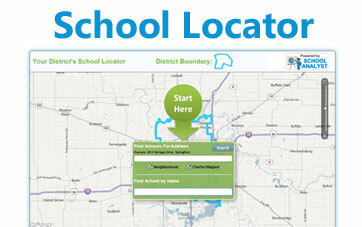 School Locator is a hosted website that enables school districts to answer this question and save personnel time. 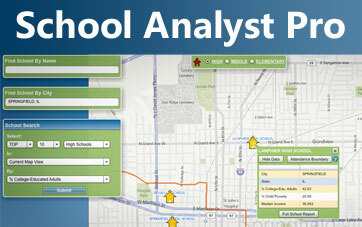 School Analyst Pro is a map-based, interactive website that combines school test performance, student and community demographics, and district finances in one convenient location. 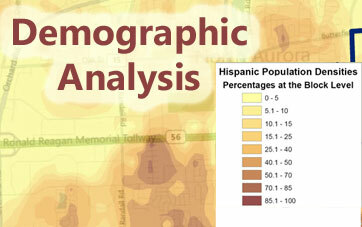 Our experience with mapping technology, school attendance boundaries and demographic and educational data can help you gain the insight needed to make key decisions. ©2015 by GIS Solutions, Inc.